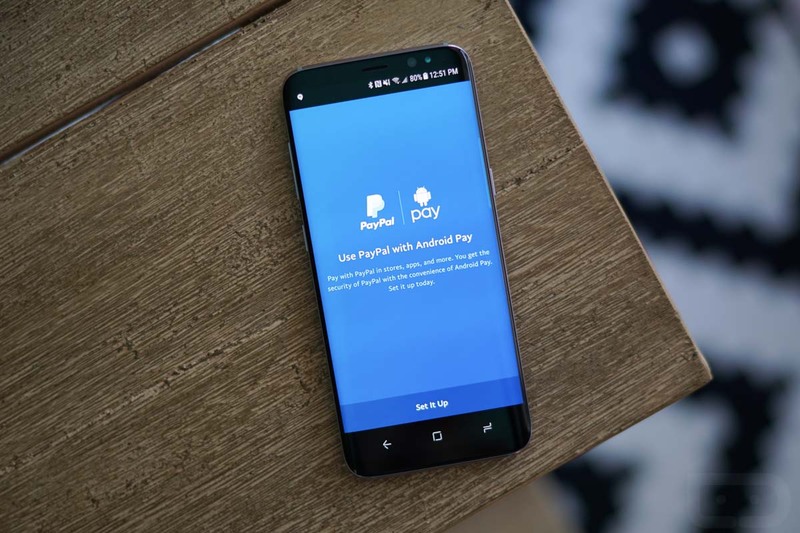 It has been over a month since Android Pay and PayPal announced together that they would soon be friends. Today, that integration can finally happen, thanks to an update to the PayPal app. Once you grab the latest PayPal update, should you be interested in adding it as a payment option to Android Pay, you’ll open PayPal, login, and then tap the settings icon in the top right corner. Once in there, you’ll find a new Android Pay option in the list of settings, between Payment Preferences and Personal Info. Tap that to begin setup! There are a few steps involved. The first is a connection screen where PayPal attaches to Android Pay. From there, PayPal will tell you about how all this works and the fact that they are basically creating a PayPal Discover card for you to use in Android Pay. That’s right, you’ll only be able to use this PayPal-Android Pay thing where Discover is accepted. PayPal will then ask you for a “Top up” amount that it can add from a card should you blow through that balance and let you setup a PIN. And finally, the last step is to confirm with Android Pay that you want PayPal in there. Once you have done those steps, you should see a PayPal Discover card show up in your Android Pay app on the next load. If you want to use it regularly, consider setting it as your default card. Get after it!